October 18, 2018, 8:33 a.m.
Last week, several news outlets carried the news that Mondelez International - owners of chocolatier Cadbury paid no corporation tax in 2017, though the company made profits of £185million. YouGov’s brand tracking data paints an intriguing picture on this particular story. That is, though the public has noticed negative headlines surrounding the brand, it hasn’t necessarily shifted the underlying impression of the company. 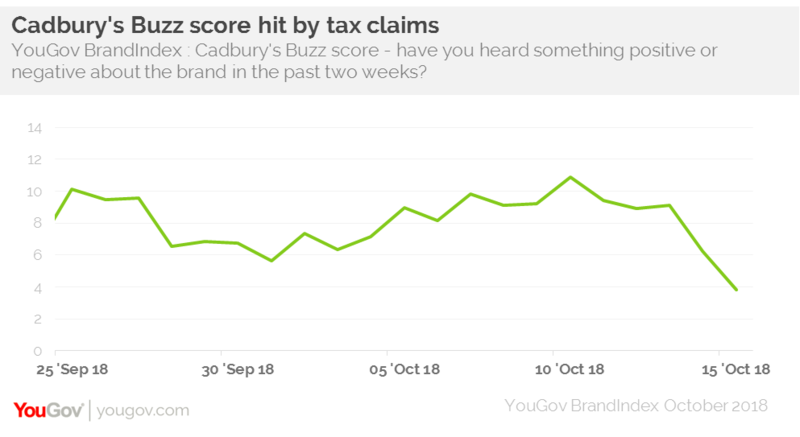 Looking first to Cadbury’s Buzz score (whether someone has heard something about a brand, and if it was positive or negative), we see this has dropped by 5 points, from +9 to +3 since the end of last week, indicating that people are aware of the negative press. The positive news for Cadbury’s is that its Impression score (whether someone has a positive or negative impression of a brand), has remained fairly resolute despite the reports. On this rating Cadbury’s score has dropped only 2 points, from +42 to +40. 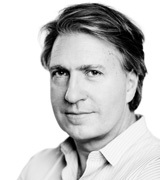 This leaves it with a very healthy score as compared to its industry rivals. Similarly, the brand’s Purchase Consideration score (whether someone would consider purchasing a brand’s products) has remained at a high level, at around the +54 mark, the same as it was pre-headlines. The situation bares a certain resemblance to when Apple was criticised for its own tax arrangements in 2016. On that occasion YouGov data showed that while the public as a whole noticed the news, and viewed the arrangement in unfavourable terms, actual Apple customers were less moved by the stories, and continued to view the brand in a positive way. While customers may well have less of a connection to Cadbury’s products than Apple’s, the company is generally well-liked and respected, thanks to its long history and brand positioning, helping it to emerge from periods of criticism such as this.